John Lassater at Carsland Construction Site, Disneyland Resort. . Wallpaper and background images in the Disney Pixar Cars club tagged: cars john lassater carsland disneys california adventure california adventure disneyland disneyland resort. 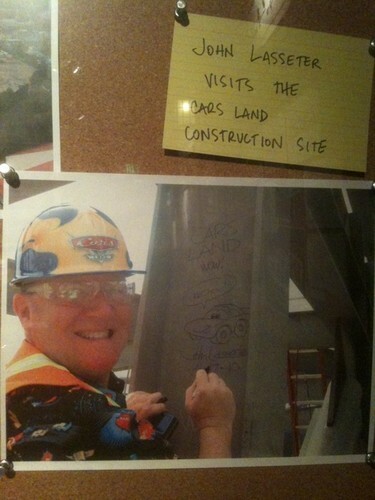 Hey look...he drew a picture of lightning mcqueen on the consruction site!